Leading Chinese smart phone manufacturers Xiaomi is soon to launch the Xiaomi Mi 7 in India this year and is expected to be a power packed combination of hardware and software. With some other major smart phone companies already implementing facial recognition the Xiaomi Mi 7 could well prove to step up a notch in the department with its 3D facial recognition and is believed to be the first android to be having this exclusive feature. Some leaked images by Naijatech and CNMO have suggesting few interesting features of the Xiaomi Mi 7. And to satisfy your curiosity these reports suggest that the smart phone could well have an option of wireless charging. The expected specifications might include the latest Qualcomm Snapdragon 845 SoC, 8GB/6GB of RAM, 128GB/64GB of inbuilt storage, a dual 16-megapixel camera, a 5.65-inch full-HD+ (1080×2160 pixels) and 18:9 display with 6 inches of screen space, a 4480mAh battery, fingerprint, Adreno 630 processor graphics processor with an octa-core CPU, Android 8.0 (Oreo) and could be priced around Rs. 28,500/- for the Indian market. Some screenshots also reveal that the Mi 7 would be running MIUI 9 Developer ROM version 8.1.30. GizChina reports that the Mi 7 will be having an on-screen fingerprint scanner but we have to wait till we can get out hand on the actual product to confirm this. A number of smart phone manufacturers will be adopting the advanced facial recognition features and as claimed by an analyst firm named Counterpoint the number of smart phones having facial recognition technology could well be over a billion in another two years time which will definitely make it a commonly used mechanism in smart phones as a security measure for locking and unlocking the device. Most smart phone manufacturers have been able to implement advanced facial recognition features in combination the Snapdragon 845 chip which could well be a strong indicator that the Xiaomi Mi 7 would most definitely be equipped this system chipset. 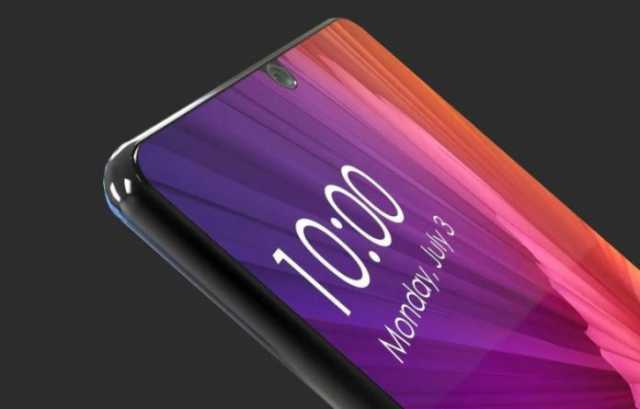 Though other smart phone manufacturers such as Samsung and Huawei are also on the verge of introducing 3D facial recognition in the near future but would be delayed due to their decision to develop their own 3D algorithms internally which would make the Xiaomi Mi 7 the first android smart phone to be sold in the market having a 3D facial recognition feature. The Mi7 will be equipped with an under display fingerprint sensor as confirmed by the CEO, Lei Jun. The Xiaomi Mi 7 has already featured at the Mobile World Congress held in 26th February – 1st March, 2018 at Barcelona, Spain as one of the leading flagship smart phone models in the recent times.